Delays in settlement of insurance claims are common in India. Worse, the insured may have to face lot of hassles and may be made to run from pillar to post by the insurance company to get the claim settled. Delays in settlement of insurance claims are common in India. Worse, the insured may have to face lot of hassles and may be made to run from pillar to post by the insurance company to get the claim settled. So, how does one deal with such unnecessary delays and is there any provision in the law to penalise the insurance company for causing unnecessary delay? Let’s check out. In the case of life insurance claims, the insurance company has to ask for the requisite documents within 15 days after the claim is submitted. After submission of all the documents by the insured or the nominee, the insurance company has to take a decision and make the payment within 30 days. However, if the insurance company needs more time to further investigate the claim made by the insured or the nominee, it has to complete the investigation within 90 days. Now, if the insurance fails to make the payment of claim within the stipulated time limit, the company will have to pay a penal interest that is 2% more the bank rate specified by the Reserve Bank of India as on April 1 of that financial year. If the claim is ready for payment but if the company delays the payment on the ground of uncertainty of proper identification of the payee, the company will still be liable for penalty for the period of delay. The period of delay will be calculated from the submission of all the documents for making the claim by the insured. Thus, the insurer is supposed to settle the claim within receipt of all the documents for making the claim within 30 days, but if the insurer makes the payment on, say, 31st day, the penalty for the delay would be for 31 days and not just 1 day. In the case of payment of maturity amount and annuities, the insurance company has to send post-dated cheques or transfer the money into the bank account of the payee on or before the due date. If an insured surrenders the policy or cancels the policy after the free look-in period, the insurance company has to settle the claim within 15 days of receipt of such request. Any delay in payment of the claim will attract a penalty. In the case of settlement of a death claim, the insurance company has to complete the investigation within 90 days of submission of claim and not 180 days as was mandated previously. 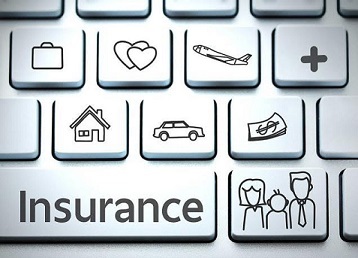 Apart from life insurance policies, the settlement of claims for other non-life insurance and health insurance policies also attract the same provisions, requiring the insurers to make payment within 30 days of receipt of such claim.